Put simply, as the champion for change inside your organization, you'll need to market the FAIR approach to risk management until you achieve an acceptable level of buy-in. 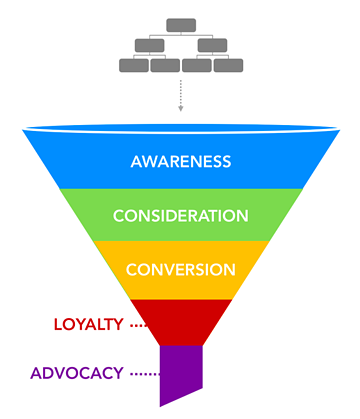 Let’s use a classic view of a marketing funnel to take a high-level walk-through of the journey to FAIR—from early awareness to the broad stages of advocacy — with some tips on how to smooth the way through each of these stages. Use the wealth of available resources from the FAIR Institute to help you on this mission. Once they have been introduced and are aware of FAIR, then they can navigate to the next level. An Executive’s Guide to Cyber Risk Economics – FAIR creator Jack Jones gives a high level, non-technical introduction to FAIR for business use. 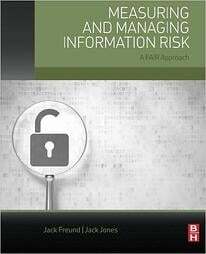 Measuring and Managing Information Risk: a FAIR Approach – the FAIR bible, the most thorough introduction to FAIR theory and practice. Please note: the type of information shared should be commensurate with the level of involvement the individual and or teams are going to have with the FAIR analysis process. Inform, don’t overwhelm. During the above exercises, the current FAIR advocate needs to be available to answer questions or provide direction and support. Here, a foundational understanding of FAIR has taken root. A manifestation of this level having been reached would be when someone has a difficult time viewing risk with an un-FAIR viewpoint. For example, it will be hard for the person to see qualitative risk ratings such as “high, medium, or low” without questioning what “high” means and how much rigor went into the analysis process that assigned that rating? Also, the phrases “You can’t manage what you haven’t clearly defined” or “You can’t manage what you haven’t measured” might be indicators of the FAIR loyalty-level. online FAIR training course and trying some FAIR scenarios for themselves on the FAIR-U web training app. FAIR advocates fully understand and promote FAIR’s value proposition. This optimal level of buy-in is home to a smaller section of your organization. An ideal organizational buy-in mixture will span the spectrum from analyst to executive. In particular, buy-in from executives ensures top-down support of quantitative risk management and helps level-set expectations for those involved in the FAIR analysis process.